No-one so far in Labour or the left-wing media has picked up on the remarkable boost for workers’ rights that is now taking shape across the Channel. In a big win for workers and trade unions, France’s new president Emmanuel Macron has overcome the objections from right-wing, anti-worker governments in Eastern Europe as well as from Britain to achieve a major strengthening of the EU’s posted workers’ directive. That directive is a key part of EU laws to stop social dumping. Macron is no leftist but he needed to bring a pro-worker win back to France. He campaigned on social dumping in his election race and was open in his attacks on Poland for exporting unemployment and low-pay workers to richer western Europe. The EU’s so-called posted workers directive was adopted in 1996. Its aim is to ensure that workers sent or posted to another country are being paid at the going rate (and enjoy the same benefits and working conditions) as local workers in the host country. One might have assumed that Theresa May would have lined up with Macron on the posted workers’ directive as a step in the direction of controlling access into Britain of EU citizens – “taking back control” to use the jargon. But, as is becoming apparent now – via the conduct of Tory government policy – the Brexit campaign’s pitch to workers’ worries was just a politically convenient tool to garner working class support for the elitist, populist right-wing project that is Brexit. However, the roots of opposing EU social policy improvements that can help British workers EU lie beyond the Tories. Labour ministers subsequently always sought to stop, delay or water down any strengthening of EU social directives. Their political motivation was to encroach on the Tories’ turf by presenting Labour as the number one friend of business. Before 2010, both as Europe minister (and, later on, as the Labour Party’s representative on the Party of European Socialists), I used to receive very firm orders from Downing Street to vote against any proposal that would result in employers having to treat workers differently. May remains in the camp which opposes stronger social rights decreed by Europe. 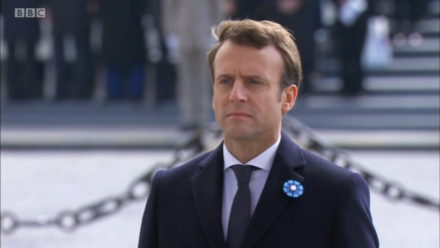 She has been badly advised, however, as President Macron made clear early on in his bid for the French presidency he would seek to shape a Europe that “protects” workers. The new rules agreed last month stipulate “equal pay for equal work”, so bosses who hire people from EU countries have to pay the same salary, bonuses and employment benefits as to local workers. But it is also part and parcel of Macron’s philosophy that the future of the French nation lies in a stronger, not weaker, disaggregated Europe. May’s stubborn right-wing hostility to Macron’s top-line commitment to strengthening the posted workers directive will have done nothing to endear the beleaguered British prime minister to the Elysée. This should be a wake up call to those Labour MPs and some in the trade unions who think Brexit will be shaped to the benefit of workers and core Labour voters. In a reasoned defence of not opposing Brexit, the thoughtful Labour MP Lisa Nandy wrote in the Financial Times that “Brexit was the last line of defence for the things that matter” including “jobs that provide security and dignity” . Yet May’s head-to-head with Macron shows the last thing any Tory government wants is more rights for workers after Brexit. When British workers lose the protection of social Europe rights -which is the inevitable result of withdrawing from the legal commitments inherent in the EU treaty – they will find themselves defenceless against whatever Tory MPs want to do. And, since there are 55 more Tory MPs than Labour MPs, the dreams that Labour can block a watering down of EU social legislation or stroll into Downing Street any time soon are just that – dreams and wishful thinking. The British labour market is the least worker-friendly of any in Europe. It is perfectly possible to strengthen protections without leaving the EU. But why do so few Labour MPs make this point? Denis MacShane is a former Europe minister and author of Brexit, No Exit. Why (in the End) Britain Won’t Leave Europe (IB Tauris).